You’re all excited as you have finally clinched that great job in Dubai. Sunshine all year long and great hospitality on your doorstep but it is the search for schools that is on your mind. Dubai is lucky enough to be served by many excellent schools, some attaining outstanding results but with so many listed on the Internet, how do you choose? Well, if possible try not to sign on a property until you have secured school places for your child as you could find yourself traveling unnecessary kilometers each day, driving children to and from school and activities. Firstly, figure out which curriculum would be most practical for your child to follow. This normally would be the curriculum of your home country, therefore if you were to return home it would be easy for your child to slip back into the schooling system. There are many schools here, each offering a different curriculum ranging from English National Curriculum, Indian Curriculum (CBSE), International Baccalaureate, American System, Australian System, French System, German system and Japanese system – to name but a few. It is worth noting that all expatriates are expected to pay for education, regardless of the quality of education being provided. Next, check out each school’s website to get an overview of the school. If you are not yet in the UAE, send an email to a few of the schools or call them and ask what the availability of places is like as some of the schools have very long waiting lists which is not always obvious from their websites. Some companies have debentures with schools which gives your child priority on their waiting lists, therefore check this out with your HR department before applying to schools. On the schools’ websites you may see the words ‘not for profit school’. This means these schools are administered by a Board of Governors and as such there is generous reinvestment in the school on both a long term and short term basis. The other schools will be owned by private education companies in the private sector and will also invest money into the school but will have shareholders seeking a return. The Knowledge and Human Development Authority (KHDA) provide inspection reports, scoring schools outstanding, good, acceptable or unsatisfactory which may help eliminate some schools. The school websites may also show their academic results in past years. This is a good indicator as to what your child may attain and it is a reflection on the teaching standards and the standards of other children at the school. It is also worth asking if the schools have entrance exams as some of the high schools, especially the English National Curriculum Schools, have entry exams for entry into the first year of high school. These generally take place in December or January so by the end of February they will have offered out the majority of their places. When choosing a school, consider what the age of your child is and how long you may be posted to Dubai for, as it may be worth considering primary schools that have high schools attached to them. Generally, it is the ages of 4 to 8 and ages 11 to 14 where the places are at a premium. So having a primary school with a direct entry into high school is ideal. I would then strongly recommend, if possible, making a visit to the prospective schools. Choosing a school is a very personal thing. You should get a good feeling when going around the school, do the children look happy, make sure you talk to the teachers and if possible the headmaster. Websites can give you all the information about the school’s results and all their facilities, but it is good to see it at firsthand. Also, ask people who live in Dubai and who have had children at these schools on their firsthand experiences, they of course will be biased to the school they picked but it will help in further narrowing down your list. If you know or suspect that your child has any learning difficulties i.e. Dyslexia you should also ask the school about their learning support department and check they can support your child. Research. 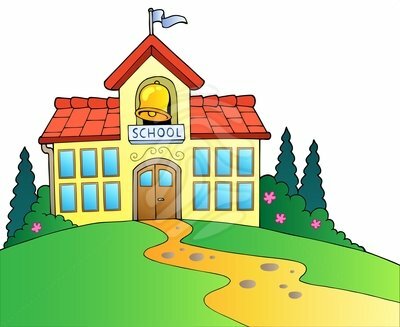 Read the blogs on schools, check out their websites and visit the schools, but most importantly don’t leave it till the last minute even with the economic downturn, the good schools in Dubai are still in high demand. Many schools now update their availability on their websites. Dubai is a transient place – waiting lists may be closed now or seem endless, but hang in there as it all moves very quickly. 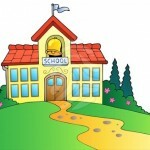 To give you a head start in your search for the perfect school, we have compiled a school directory, curriculum’s comparison, and age comparisons for different curriculum’s.